After a successful Health Hackathon in January, with 120 healthcare enthusiasts and a great deck of tech & design mentors to support them, Startupbootcamp Digital Health Berlin and the local partners had the feeling that there were way more solutions to find and point out. 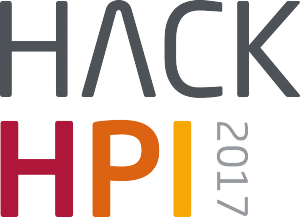 We are back with our Health Hackathon this year on 10-11 June 2017! So, if you always had that brilliant idea addressing global issues ready to be showed off or if you aim to be on the field with the big players of this industry and develop your own pilot, you are the legend we are looking for!! Startupbootcamp Digital Health Hackathon will give you the chance to build your path! Tech entrepreneurs, health enthusiasts, UX designers, students and business developers are welcome. But, even if you don’t match with the description we accept everyone to join in, and please don’t worry about getting team members because you can form your own team here, on location! (pre-formed teams are welcome too – 4ppl max). Providing you help from our deck of amazing mentors on board, the purpose of this hackathon is to get your knowledge together with ours from the digital health scene. With that, your goal will be to create solutions that will be used as a consulting tool for health market. You’ll be able to form teams and learn more about the challenges on the preparation day, which starts on June 10th at 10 am. You will stay overnight for the Hackathon. Join the conversation beforehand on our slack channel dhhack.slack.com. Of course, your effort will be rewarded. Last year, we gave €5500 away as cash prizes, not to mention cool giveaways. This year is bigger and better with coolest partners encouraging you to give your best! To the best ranking Hack of the Day! You are welcome to start working on your hack before the event. You can present pre-existing projects, but they must be relevant to the hackathon challenges. You also must demo live at the hackathon on Sunday. Teams of up to 5 people are allowed. Our Hackathon will have its own DevPost page, on which projects should be submitted on. Submissions take place after 24 hours of pure hacking. You must demo your hack in order to present. 5 presentation and one minute Q&A from Judges. The program supports innovative startups that combine medical knowledge with smart technologies, with a special focus on behavior change, diagnostics, and genomics, big data and analytics. We provide mentorship, funding, logistic support and access to our huge network of industry specific mentors, corporate partners, angels and VC’s to up to 10 high potential Digital Health startups from around the world. Startupbootcamp Digital Health Berlin cooperates with several distinguished partners. Globally with Amazon Web Services, Cisco, Google Cloud Platform, Intel, locally with ApoBank, arvato CRM healthcare, Dentons, Munich Re, Philips and Sanofi in Germany. And for the event with @hackHPI, @WorldHealthSmt, and @MindSpace.